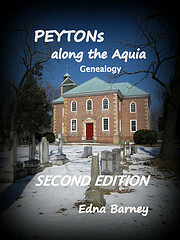 I have been digging through the PDF of your Peyton book, and finding it very helpful in my research. 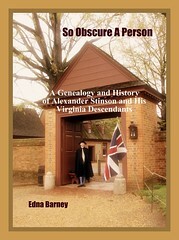 I have a theory brewing that the wife of one of my ancestors (John Trammell of Westmoreland, VA), whose first name was Mary, was a ‘missing’ daughter of Valentine Peyton and Frances Gerrard. I’d love to get your opinion of my theory! If you’d like to read all about it, please e-mail me and I’ll write at greater length.